Is the powerful junior, who led the Tigers (42-21) back to the NCAA super regional with an 8-3 win over Oral Roberts on Sunday night, going to give it to them? “We’ll see,” he said, coyly. 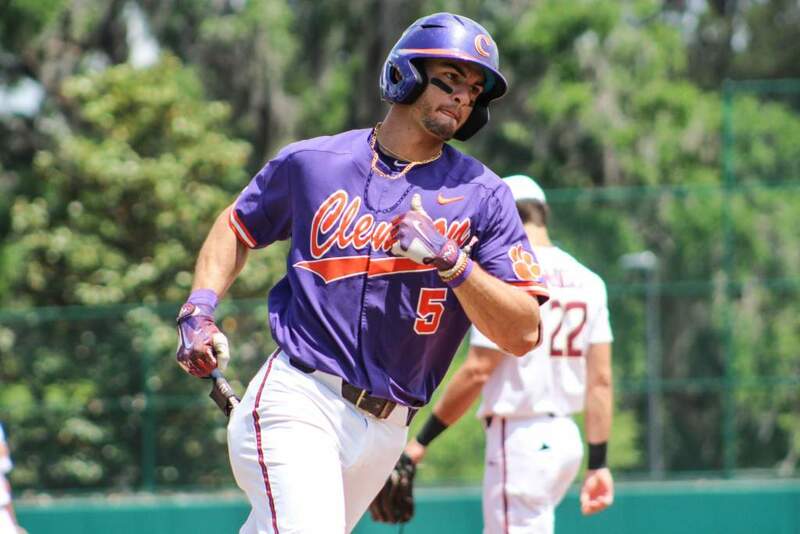 “That means yes,” Clemson coach Jack Leggett followed. 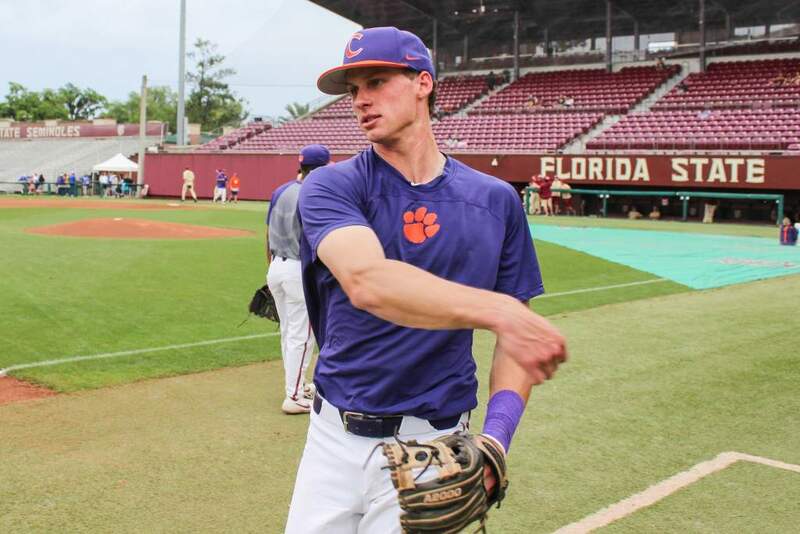 Whatever Harvey, the Atlantic Coast Conference home run champ and son of ex-big leauger Bryan Harvey, does after the Major League Baseball draft this week remains to be seen. But he helped give the Tigers one more weekend – and that’s something they have had not had since advancing to the NCAA tournament’s final 16 in 2002. And those are likely to go even higher after this regional. Harvey’s two home runs gave him 24 for season. First baseman Andy D’Alessio, voted the regional’s most valuable player, had a two-run homer and an RBI double. Starter Robert Rohrbaugh (8-2) had another top-notch performance for the Tigers, shutting Oral Roberts (42-20) down on seven hits and a run before coming out after seven innings. 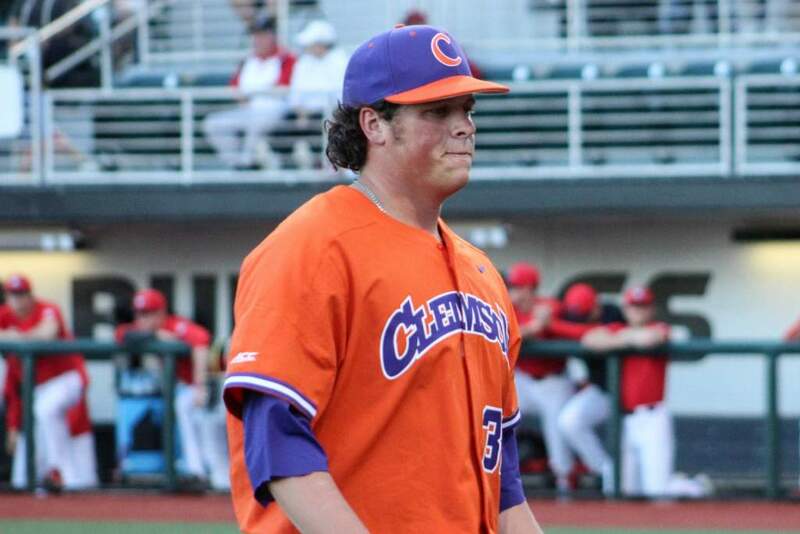 On Saturday night, Tiger starter Josh Cribb threw a two-hit, complete game shutout to beat College of Charleston, 6-0. 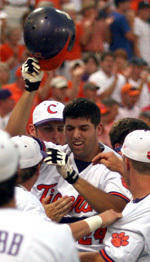 Clemson reached its fifth super regional series since the NCAA started the format in the 1999 tournament. The Tigers await the outcome of the regional in Waco, Texas. Baylor, seeded fourth overall in the 64-team tournament, needs to win one game Monday on its home field to advance. Should Baylor do that, Clemson would travel to Texas for the best-of-3 series. If the Bears stumble, the super regional could return to Doug Kingsmore Stadium for the first time since 2002. The NCAA super regional winner gets to the College World Series, where the Tigers also haven’t been since 2002. Oral Roberts, the Mid-Continent Conference champion, has now failed to move past the opening round of the NCAA tournament for the eighth straight year. It kept itself alive earlier Sunday by blanking the College of Charleston, 6-0, to set up the late game against Clemson. Had Oral Roberts won, it would’ve meant a second game with the Tigers on Monday. “We all had the mind thought we could do it,” Golden Eagles first baseman Dennis Bigley said. But starter Rene Recio (4-3) couldn’t contain the Tigers. Herman Demmink led off the game with a walk, was sacrificed to second and came around to score on a pair of wild pitches. Things got ugly for Oral Roberts in the fourth. After retiring the first two batters on two pitches, Harvey blasted a shot well over the 370-foot sign in left center. Then Andy D’Alessio, named the regional’s most valuable player, hit his 15th homer of the season to left to put Clemson up 4-0. 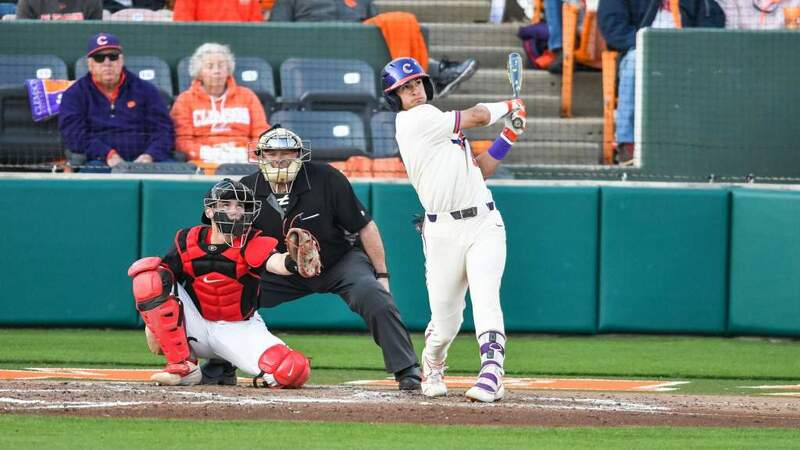 Harvey, the Atlantic Coast Conference home run champion this season, came up again in the sixth and this time launched a high shot to right for his 24th homer of the year. Harvey became the first Tiger to homer twice in an NCAA game since Khalil Greene and Jeff Baker both did it in a 15-1 victory over Georgia Southern on May 31, 2002. Harvey’s production was more than enough for Rohrbaugh. The junior left-hander overpowered Oral Roberts’ hitters. When Bigley singled to start the second and Tim Torres reached when Rohrbaugh couldn’t field his sacrifice bunt, the Clemson pitcher then struck out the next three batters to end the threat. In the fourth, the Golden Eagles again had two on with a chance to score. But Rohrbaugh struck out Lamb and got Jon Tackett on a pop up to second. Rohrbaugh’s only mistake was to shortstop Michael Hollimon, a transfer from Texas whose high-arcing fly just cleared the fence in right center. It was Hollimon’s team-leading 14th home run.